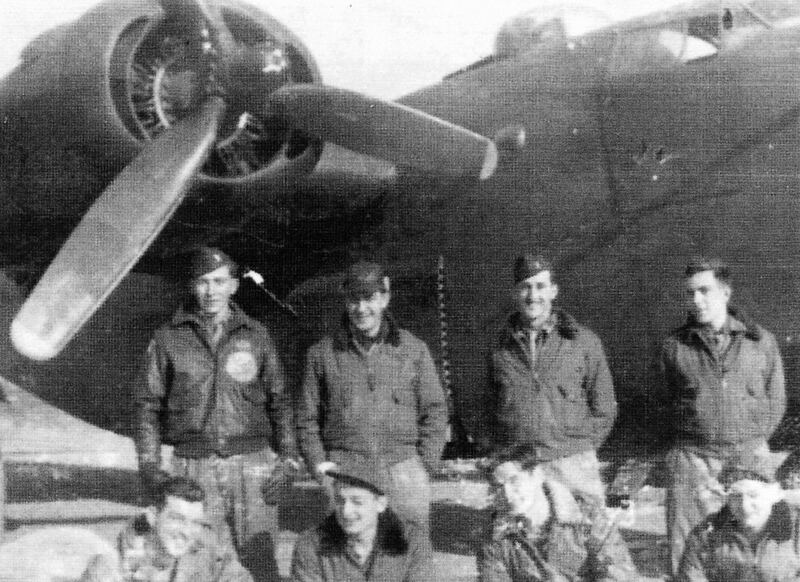 Lt. Loser’s first crew, taken at their B-24 Liberator’s hardstand. S/Sgt. Leonard Schiller, engineer. Brindisi, Italy, December 1944.